The hosts to looking to make it back-to-back wins after success over the Red Machines last time out. 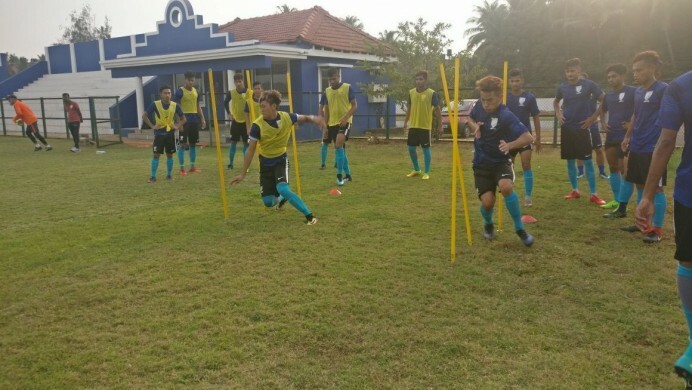 A confident Indian Arrows side will be raring to go against Aizawl FC who will take to the field under newly appointed coach Santosh Kashyap in their Hero I-League match at the Tilak Maidan stadium in Vasco on Friday. Arrows come into the game after a thrilling 2-1 win against Churchill Brothers FC Goa. It was one of the games of the season where the young side who were trailing 1-0, scored two goals in injury time to seal the victory. “In football, you cannot plan the result. But I’m very happy with the attitude and the victory because it is the first time in this competition that Indian Arrows have won a game which they were losing. Mentally this shows part of the progress and gives confidence to the players,” Indian Arrows coach Luis Norton de Matos said. Aizawl FC are winless in their last six games in the Hero I-League and have picked up only four points from a possible 18. 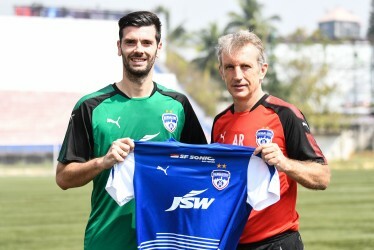 The poor run of form led to the sacking of Paulo Meneses with Kashyap brought in to revive their campaign. “If you see my record, I like to take challenges and try to do my best with my experience and whatever I learned through my coaching process. It’s a very unpredictable league and any team can beat any team. We will take it one game at a time,” Kashyap suggested. He also applauded Indian Arrows whom his side face on Friday. A quick glance at the points table shows that Indian Arrows are only three points behind Aizawl FC. The defending champions in sixth place on 17 points with their title-defence all but over. Indian Arrows meanwhile are in the eighth position with 14 points.Matos will miss the services of Abhijit Sarkar whose goals had helped them beat Churchill Brothers. Ningthoi also won’t be available as both suffered injuries during training. Meanwhile, the spine of the team should remain the same with Anwar Ali who was the Hero of the match against Churchill Brothers joined by the regular starters. “We will be more confident because we got three points in the last match. Our team is mentally very strong and we want to take three points tomorrow,” Arrows right-back Ashish Rai said. Meanwhile, Kashyap suggested that he is happy with the squad and how they are responding to him in training. Yobo Kobayashi and Kareem Nurain are not available for selection but Kashyap vowed to field his strongest eleven. “Aizawl were defending champions last year and they will be favourites against us like all other teams. But we will fight for a result as always,” Matos stated.